WWI Wednesday: Pipes, Cigarettes, & Cigars! 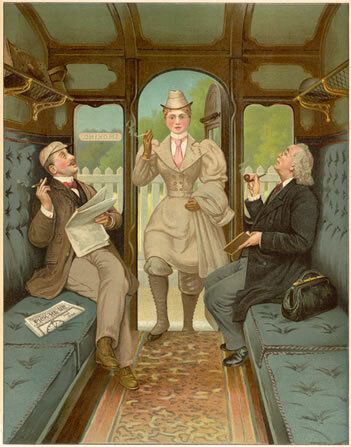 The Edwardian era saw the beginnings of the glamorous (for women) and rugged (for men) image of smoking later promulgated in advertisements and cinema. The convention of an after-dinner glass of port with a cigar trickled downwards from the aristocracy to the middle classes during the high Victorian era, and the Prince of Wales (later our own Edward VII) was hardly ever seen without a thick, redolent cigar between his fleshy fingers. 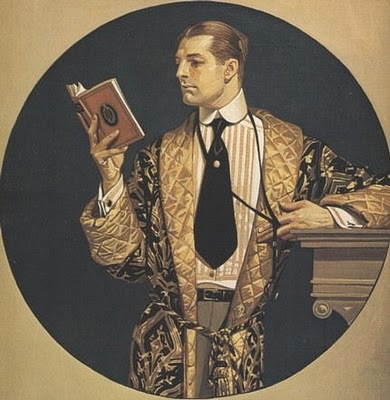 The social strictures about smoking relaxed, though this was the period for the luxurious smoking jacket and dark-paneled, elegant smoking room (the Edwardian version of the “man cave”), and it was uncommon for the best restaurants to ban smoking at the dinner table. For the most part, smoking for ladies was considered the province of actresses and “New Women,” or the truly, truly daring society hostess. 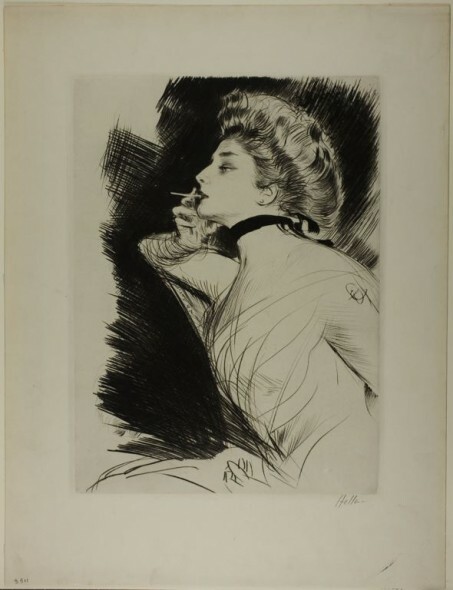 However, the increasing acceptance of public smoking meant an increasing number of places women could go–such as the music hall–now that it was passé to be offended by the stench of tobacco. WWI saw the greatest rise in the popularity of smoking, created by advertisements and by the rations given to soldiers or gifted by friends, families, and even the Royal Family. 4 Comments on WWI Wednesday: Pipes, Cigarettes, & Cigars! Ah, the rise of lung cancer! Good post. Due to Sherlock, pipes never really went out of style as a “home library” fixture. Definitely! WW2’s cigarette consumption too–as we see on Mad Men, set in the 60s! My stepfather smokes pipes and it does look more distinguished than a cigar or cigarette, lol. I find the fact that WWI saw the greatest rise in the popularity of smoking fascinating. The intense advertising campaigns about sending cigarettes to the troops in gift packages was to give the soldiers moments of pleasure in their miserable bunkers, of course, and was warmly welcomed. But there was something else, perhaps more powerful. Smoking for king and country had the ring of national pride, of showing how patriotic the purchaser of cigarettes was. It’s funny to think about WWI being used to sell products, but it’s no different than today’s current events being used in advertisement (and, as you stated, patriotism).